Countdown to AERO Friedrichshafen 2011 is on and with only days till opening we have the following ‘teasers’! Spring is here again and with it, the largest European indoor Aero Expo – Friendrichshafen 2011. Just like before, you will not be disappointed with innovations by Pipistrel ! 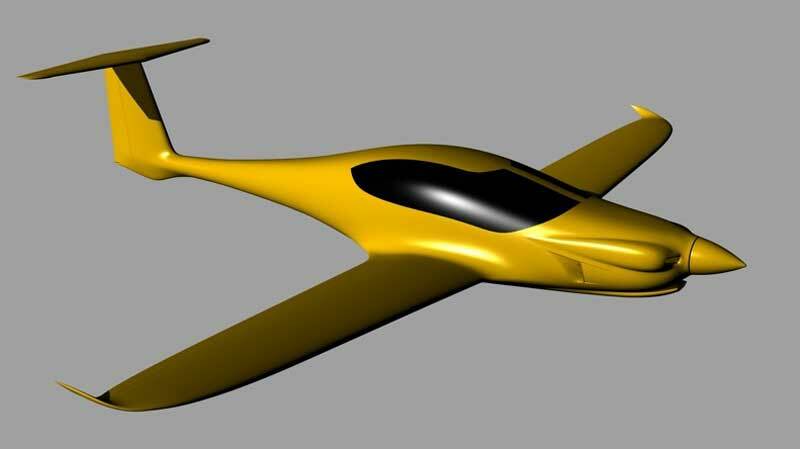 Pipistrel will present the entire updated product range and 4 new products for 2011. We will also unveil the new 4-seat aircraft for the first time! Introducing…. **PANTHERA** – the revolutionary 4-seat high-performance long-range cruiser! Come and visit the Panthera Pavilion and find out everything about the exciting details, including the hybrid power-train, titanium undercarriage, best-in-class payload and more and more! Real photographs and full prerelease specifications will be available during the show. Also on display at Aero 2011 is the new Pipistrel Solar trailer and the Pipistrel Taurus G2 electric aircraft. Do you wish to fly for absolutely free? It is possible! Pipistrel is presenting another World’s first – the concept of Flying For Free. Pipistrel developed the Solar Trailer(R), which can charge the Taurus Electro G2 in as little as 5 hours absolutely free of charge and with zero emissions! Furthermore, when the Taurus Electro G2 is stored in the trailer during the week of bad weather, it will still be charged and ready to fly by the weekend. The Solar Trailer and Taurus Electro G2 are perfect companions and demonstrate how it is possible to fly free of charge, quietly and with absolutely zero emissions, with today’s technology! The trailer offers both the 12 V connection (to charge your aux. instruments, etc) and 110V/220V connections at front and back of the trailer, where you connect the Taurus Electro G2’s charger. Also present is the solar-system by-pass, so you can charge the aircraft inside the trailer when parked in the hangar/garage, for example. The buffer battery of the trailer has the capacity of 3 kWh and its energy can be transmitted directly into the Taurus Electro G2. The Solar Trailer gathers energy also when you are flying, so you charge the Taurus Electro G2 also during the night with the energy that has accumulated during the day! The award-winning electric propulsion system of the Taurus Electro G2 is now available for plug-and-play third party integration. The system includes everything you need: 40 KW motor, power controller, batteries and BMS, charger, cockpit instrument, propeller, data logging and CANbus information exchange network. The system is scalable and is initially offered in 2 configurations, also supporting automatic motor arm retraction for self-launching glider applications. Order today ! As fuel prices continue to spiral its pleasing to see Pipistrel introducing exciting electric and hybrid aircraft.